When it comes to baby announcements, cards or cigars traditionally help celebrate the occasion. Some proud parents even have parties, and what's a baby shower without cake? 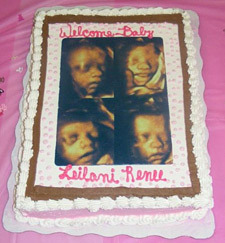 Unfortunately cakes adorned with edible sonogram images are an aesthetic nightmare, not to mention a tad creepy. Enter Cake Wrecks, the photoblog for "when professional cakes go horribly, hilariously wrong" and a new post alerting all of the internet to a startling new trend. Sonogram cakes prominently feature the splotchy, grainy and often downright haunting ultrasound images of unknowing fetuses. 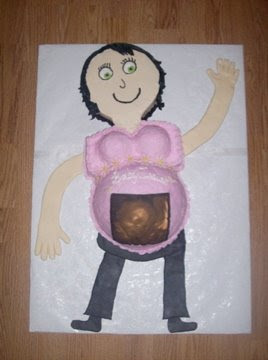 Some of the designs present only the tightly cropped, amorphous outline of the future child floating in a sea of sugary frosting, while the more detailed masterpieces may be more true to life, placing the obscured image in the "belly" of an all-icing mother-to-be. Either way, it's hard not to compare the prenatal photos to "creepy aliens," as a number of anonymous commenters were quick to do. 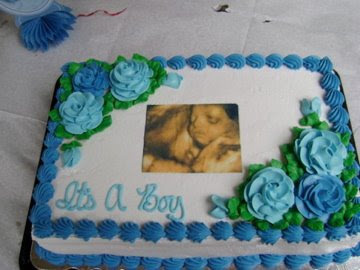 Another horrified Cake Wrecks reader, a mother of two, summed it up best when she admitted that she could just sit and stare at her daughters' ultrasound pictures for ages -- surely an intimate and exciting moment for a parent. "I love them," she wrote, "but have never had the urge to eat them."